Tourism continues to perform well for New Zealand’s economic bottom line, new stats show. 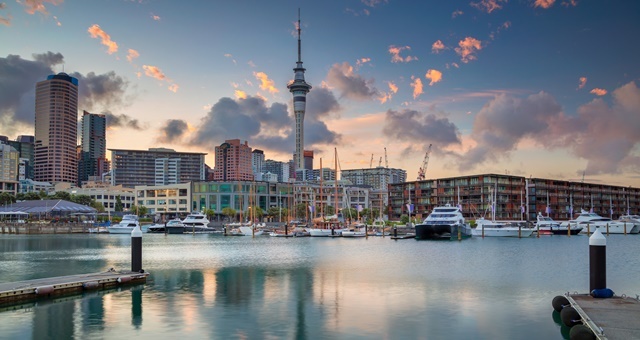 Economic figures for New Zealand released this week have revealed that tourism as an industry contributed an estimated NZ$39.1 billion – or one-fifth of the country’s total exports – to the national bottom line. According to new Tourism Satellite Account data for the year ending March 2018, the annual tourism spend figure was a 7.7 per cent, or NZ$2.8 billion increase on the corresponding period the year before. The overall figure is a $10.5 billion jump on the final figure calculated only four years ago. The figures are compiled by Stats NZ and is the official measurement of the country’s tourism industry. It includes data from both domestic and international tourists, along with industry employment numbers, export earnings and the percentage contribution to the country’s GDP. In total, 216,000 people are directly employed by the New Zealand tourism industry and nearly 150,000 more indirectly in companies which produce products and services consumed by tourists. Together, it means 13.5 per cent of the New Zealand population works in or around the tourism industry. Tourism Industry Aotearoa (TIA) Communications Manager Ann-Marie Johnson said it was clear the nation was still on the crest of a very profitable wave. Broken down, spend by international visitors closed at NZ$16.2 billion, while Domestic visitation tallied was rounded to $23 billion. Through the existing ‘Tourism 2025 Growth Framework’, TIA says the goal for the New Zealand industry is to reach a total output of $41 billion within the next 6-7 years.